I do Aikido because it is a lot of fun and it is and exciting way to exercise. Why only from age 8? Because you will have developed the co-ordination skills and concentration needed for Aikido. If you are 16 you can join our Senior class. Aikido is a martial art where you will learn the techniques, movements and skills of self-defence. What you will not learn is how to fight. The word “aikido” translates to “the way of spirit and harmony,” and fighting is not very harmonious. Aikido is based on the principle of avoiding an attack – first, by not being in its way, and second, by taking control of the attack once you know you are safe. 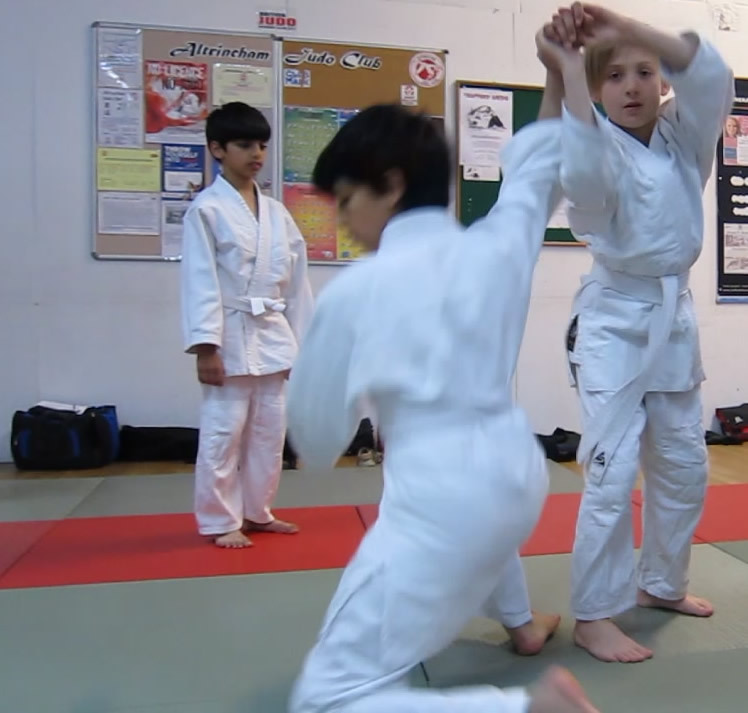 Aikido teaches you how to move safely and defend yourself. At the same time, you’ll learn to become more focused, better coordinated, and more aware of your personal space. You’ll also become more confident, self-assured and physically fit. Visit our other pages to learn - why our juniors students do Aikido, get answers to questions you may have, and find information for your parents. A class usually starts with warmup exercises, followed by basic turning and movement exercises that are used in every aikido technique. After that, the coach will show you a technique, and you’ll practice copying that technique with a partner, helping one another to learn the move. In each class, you’ll try a number of different moves with different people. Sometimes, you’ll also do weapons work with a jo (stick) or bokken (wooden practice sword). Weapons training will help you improve your movement and concentration, and it will make your hand-to-hand techniques better as well. DofE Award Scheme you can use Aikido in your "Physical Section"